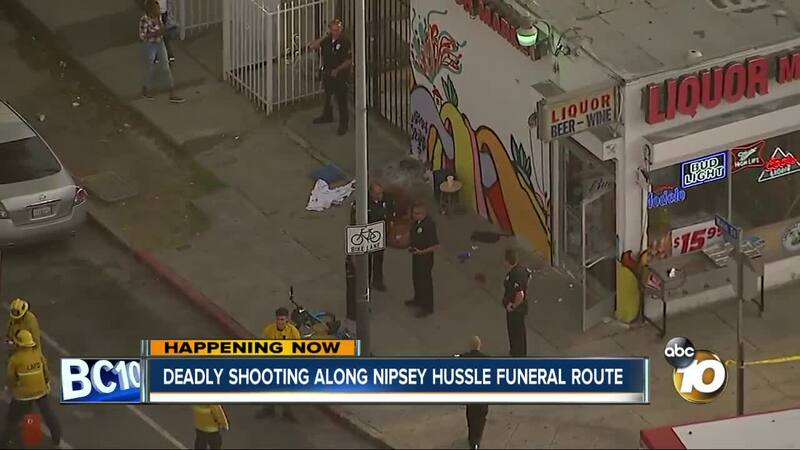 LOS ANGELES (KGTV) -- One person was killed and three others injured in a drive-by shooting along the route of Nipsey Hussle’s funeral procession. According to LAPD, the shooting happened at 103rd Street and Main Street around 6:25 p.m. Police say three men and a woman between the ages of 30 and 50 were shot. According to police, several suspects in a gray Hyundai shot the victims.